Also this week, we’ve rolled out preliminary MinGW support, tagging physical objects, and a new integration with an open-source HTML5 game development engine. To subscribe to our developer newsletter and get updates through email, click here. Want to show off your skills to the Austin startup community and build an Airspace app at the same time? Join your fellow software developers in a three-day marathon to create a commercially viable app featuring at least one of three themes – Discovery, Gaming, and Design. Plugins are a developer’s best friend – often sweeping away hours of work rather than reinventing the wheel. With LeapJS’s new plugins feature, you can access a powerful and flexible extension framework that makes it easy to build and use custom plugins. We are on the cusp of a personal robotics age – can you hack it? Take to the air with Daniel Liebeskind’s Node.js drone control setup and Leap Motion interaction, and hear more about how small flying machines will change the world. 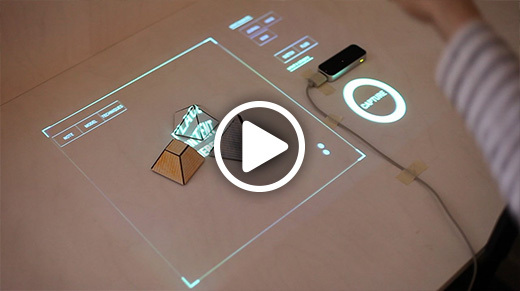 What can you make with a Leap Motion Controller, some plexiglass, and the magic of WebGL? Over the course of three weeks, a team from Stockholm’s Hyper Island created a haunting interactive illusion where people could reach out and command virtual objects sealed in glass. You talked, we listened. After hearing lots of requests for MinGW support, we created a preliminary build for Windows app developers. It’s available for download now! Want to use multiple Leap Motion Controllers for an art installation or UX experiment? While multi-device support is still in development, arckex discusses how you can can use virtual machines for limited applications. 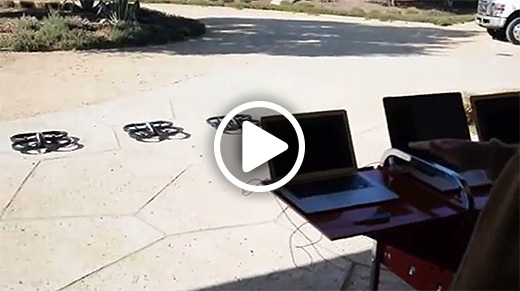 Elsewhere in the world of drone experiments, check out Chris Matthieu’s three synchronized quadcopters – all controlled with Skynet.im through three laptops and a single Leap Motion Controller. 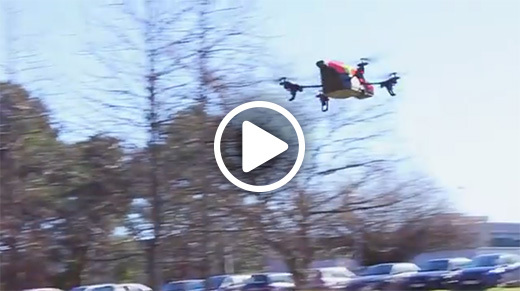 Plus, a team of French students recently developed their own AR Drone control application. By combining a projector, digital camera, and the Leap Motion Controller, Anouk Hoffmeister and Tom Brewe created a projected interface that captures and catalogues images with meta tags using hand movements. How do you translate Leap Motion 3D coordinates into Three.js? Find out the answer and join the discussion on the community forums. Watch for us at this week’s Penn Apps hackathon – where 1,200 hackers will be competing over 48 hours to hack and build apps for web and mobile platforms. Get down to basics and learn how to build new experiences for the web with the Leap Motion Controller and Code Fellows. Space is limited, so apply now.